I’ve never considered myself the outdoorsy type. I blame growing up in southwest Louisiana, where being outdoors meant battling heat, humidity and giant mosquitoes. Over the past few years, traveling has helped me embrace the outdoors, and I’ve slowly realized it can be pretty great. 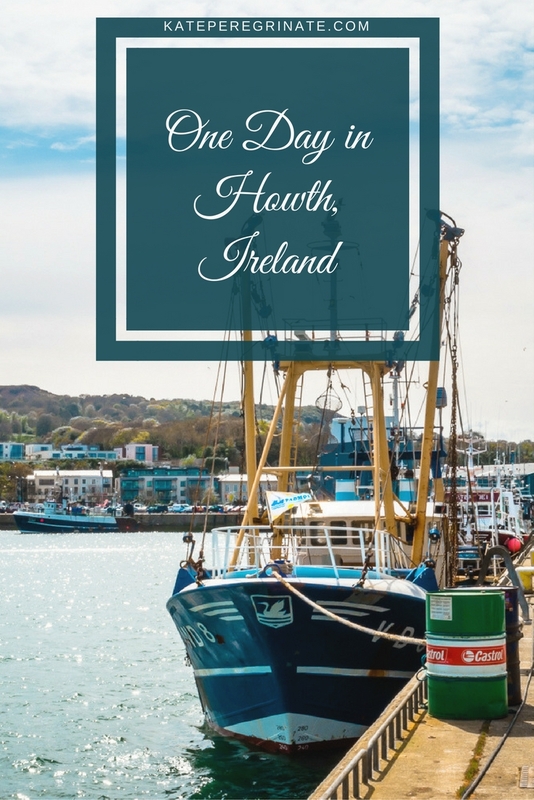 Howth, Ireland, was one of the first places to open my eyes to the joys of a bucolic destination. In the past, I rarely ventured from city centers. The closest I got to nature were urban parks surrounded by skyscrapers. 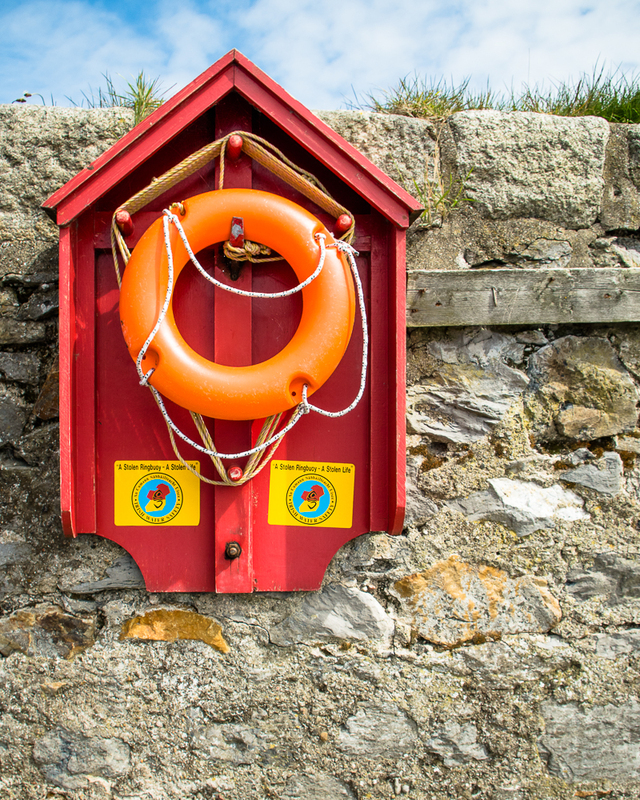 However, the lure of seaside cliffs pulled me from my comfort zone, and I headed out to Howth for the day during a trip to Dublin. 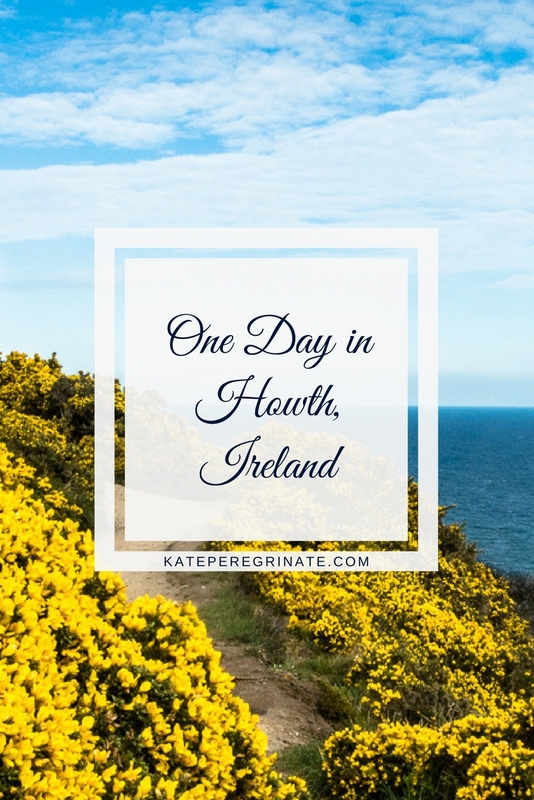 Getting to Howth from Dublin couldn’t be easier! I bought a return ticket for about €6 from the automated ticket machine at Tara Street DART Station. 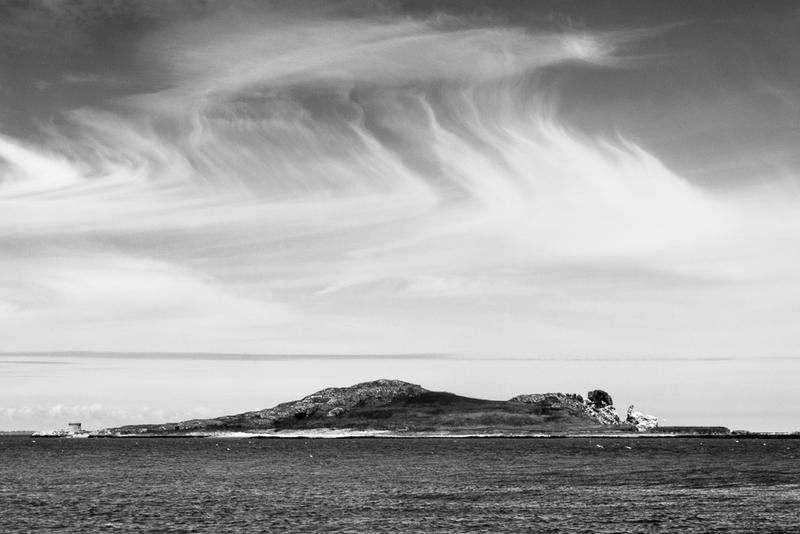 Within the minutes, I was boarding a train and on my way to Howth. The journey was about 30 minutes, giving me time to catch up on some podcasts while enjoying the passing scenery. My first stop after leaving Howth Train Station was the West Pier. 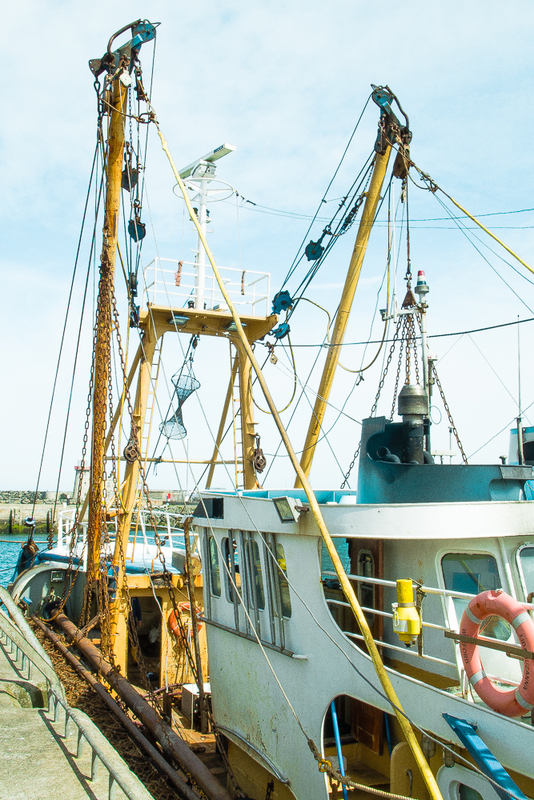 I don’t think I could have gone wrong having lunch at any of the seafood restaurants, especially with the line of fishing boats along the pier ensuring fresh ingredients. The end of the pier offers magnificent views of Ireland’s Eye (Inis Mac Neasáin), an uninhabited island accessible by frequent ferries from the West Pier. 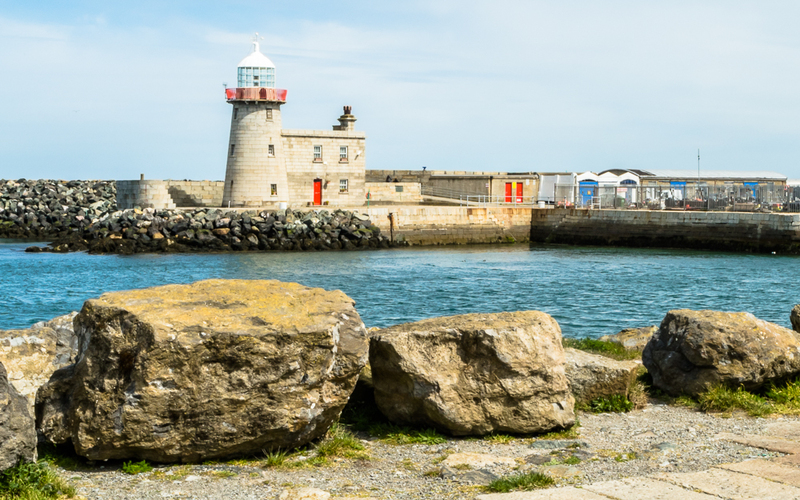 I was intrigued by the Howth Lighthouse across the narrow entrance into harbor, so I decided to make my way to the East Pier for a closer look. After a stop by the Howth Tourist Office to pick up a map of the Howth hiking trails, I grabbed some fish and chips from Beshoff Bros. I first sat on one of the benches to eat, but the seagulls weren’t going to leave me alone as long as I was stationary and had food. Following the example of locals and other tourists, I decided to eat while walking along the harbor. 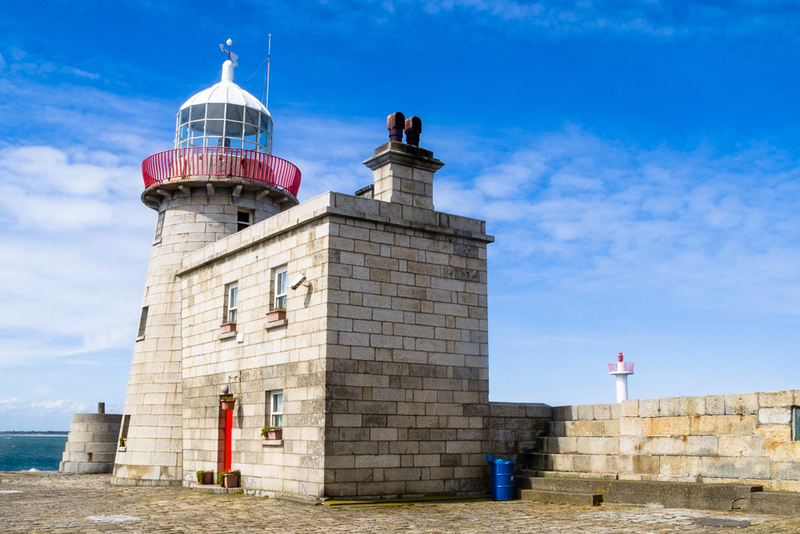 Built of granite in the early 1800s, the harbor lighthouse stands alone at the end of the East Pier. The adjoining residence was built about five years later; the second story was added some years after that (which likely accounts for the different shades of stone on the façade). I can’t resist taking pictures of brightly painted doors! 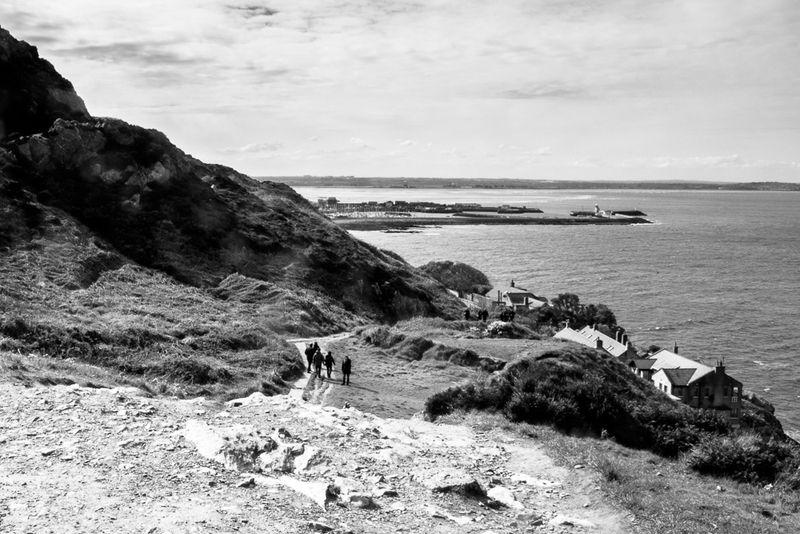 There are four hiking trails that loop around Howth Head, varying in length and difficulty. 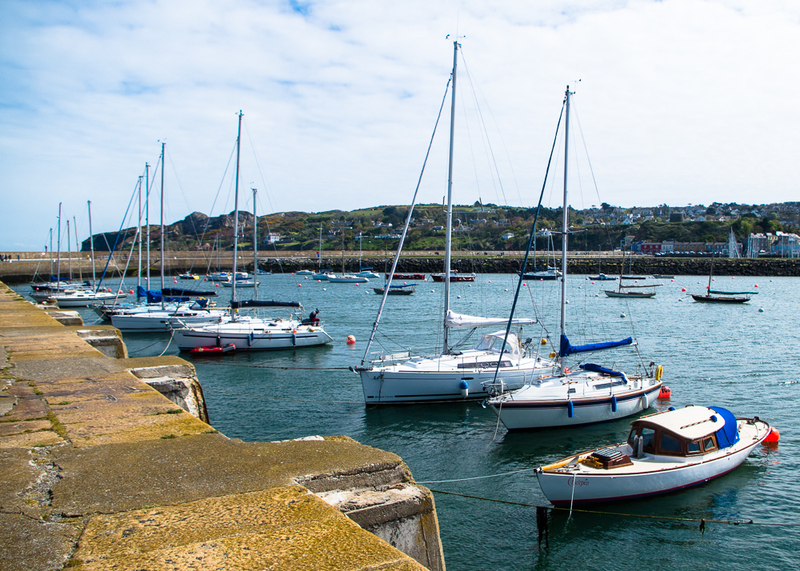 Each trail begins at Howth Station and follows the same path to the summit of the peninsula. It seemed quite easy at first, walking along a nicely paved road. I even stopped for an ice cream at The Cliff Stop, the only place to stop for a snack along the trail. 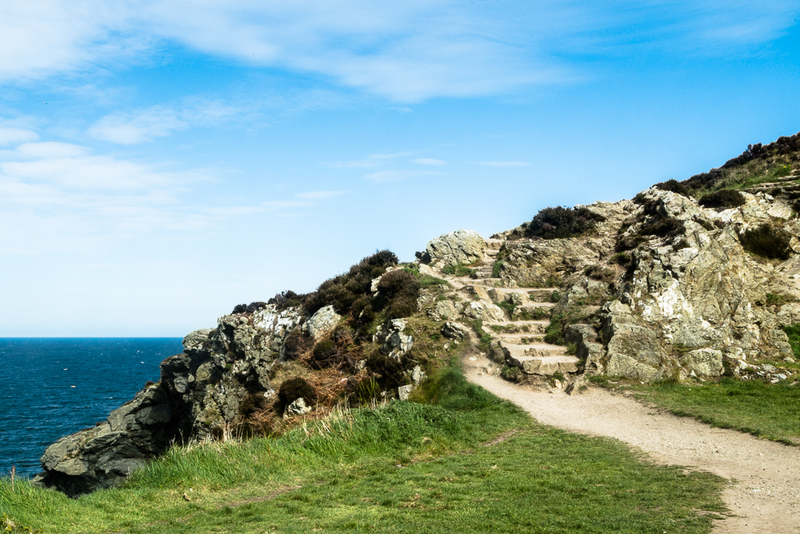 Not being an experienced hiker, I decided that I would take the easy Cliff Path Loop which separates from the other paths at the summit to head back to Howth Station. After the initial ascent on a paved road, I was surprised when the path turned a bit more rustic. At some points, the narrow trail hugs the side of the cliff, leaving me with a drop to the sea on one side and a wall of grouse on the other. 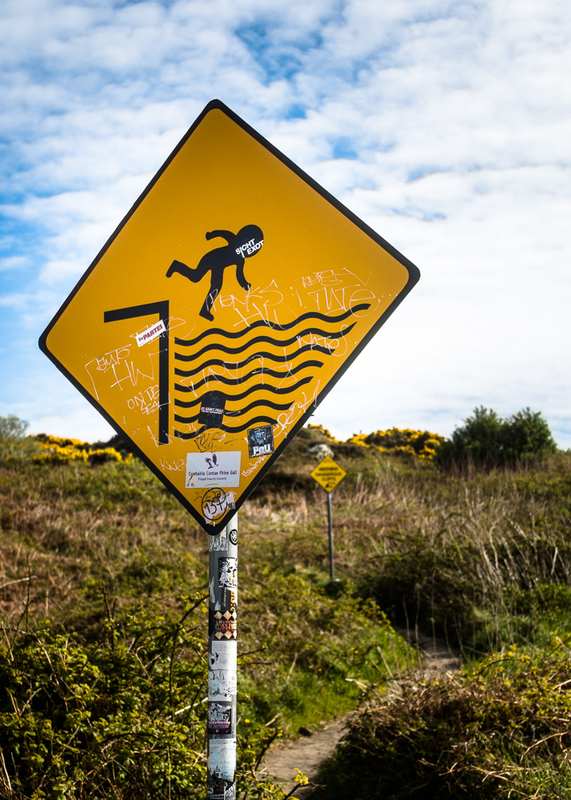 Looking back, I wouldn’t suggest any of the Howth trails to an unexperienced first-time solo hiker. Even the easy trail had some steep steps that would have been easier with a helping hand. I also missed a turn at some point after reaching the summit and ended up meandering through town back to Howth Station instead of following the old tramline. However, in the end, the adventure was worth the stunning views (and blisters). 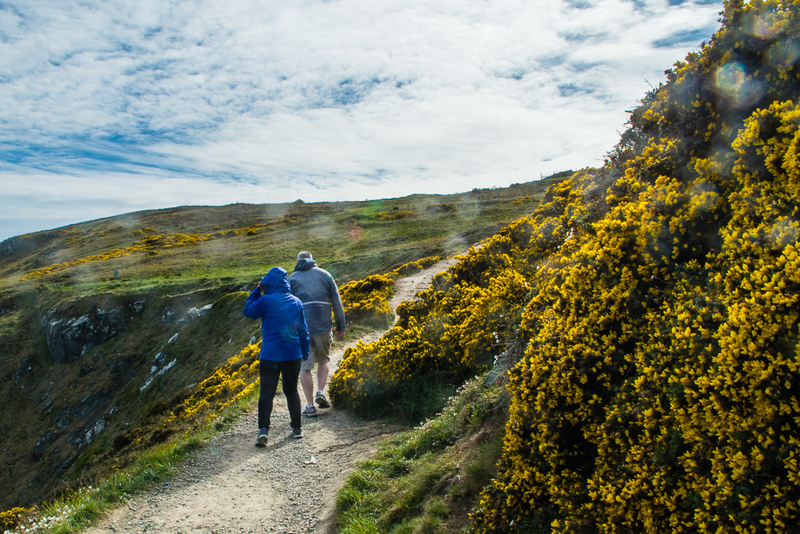 Have you been to Howth and tried any of the cliff hiking trails? What tips do you have for future visitors and hikers?